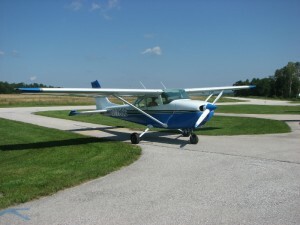 Green Mountain Flight Training presently operates one Cessna 172; a four seat 160 HP high wing aircraft capable of seating 4 people. This Cessna 172 is equipped with a Garmin 430 GPS-W and certified for Instrument Flight Rules. The Cessna 172 is a very docile, easy to fly aircraft which is widely known in the general aviation community as a superior flight training aircraft. In fact, it is so popular and easy to fly that many flying clubs and private pilots purchase this model for personal use following training. The aircraft has two doors, “fixed” wheels, 4 seats, and is an ideal learning platform for training and rental use. As we look to the future GMFT plans to augment this fleet as needs arise. At present, these aircraft are impeccably maintained. And are considering a retractable 4 seat aircraft for complex training as well as for graduates who may have an interest in a rental able to easily travel cross-country. "Pilots are a rare kind of human. They leave the ordinary surface of the word, to purify their soul in the sky, and they come down to earth, only after receiving the communion of the infinite."